Dr Richard Misek is a film-maker, montagist and theorist based at University of Kent. His research and teaching interests encompass video technologies and aesthetics, editing and montage, remixing and copy culture, the essay film, artists’ film and video, and the interstices between film and digital media. He is author of numerous publications, including articles in Screen and October and monograph Chromatic Cinema: A History of Screen Colour (Wiley-Blackwell, 2010). Dr Misek is also a leading proponent of video essays and ‘videographic’ film studies. He is Principal Investigator on the ARHC Digital Transformations project, ‘The Audiovisual Essay: a digital methodology for film and media studies’. In this masterclass, Dr Misek will reflect on his work as a practice-based researcher and a filmmaker on his essay film Rohmer in Paris (2013). His talk will be followed by Rohmer in Paris screening and Q&A session. Dr Misek will be introduced by Monash's Dr Julia Vassilieva. “Rohmer in Paris started life as an academic project about cities and film, but gradually developed into something more personal: a cinephilic journey into another film-maker’s world. 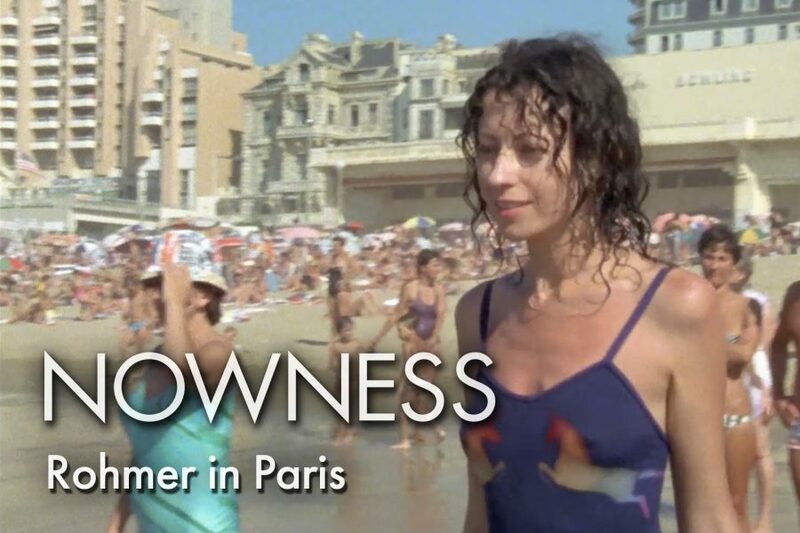 So, on the one hand, the film is a carefully researched study of Eric Rohmer’s Paris. Paris was the centre of Rohmer’s world and the main character in his films. The film examines his evolving relationship with the city by tracing his many cinematic routes through it. On the other hand, Rohmer in Paris is also a personal response to Rohmer’s films. It is a result of long hours spent in their company, and an attempt to document this extended act of looking. By using only images from Rohmer’s films, I have tried to show his films reflected in my gaze. Gradually, as I worked on the film, my act of looking turned into fascination and then obsession. I began to refer to the film as Rohmer obsession project. I still think it’s an apt title. Rohmer in Paris documents both Rohmer’s obsession with Paris and the particular form of obsession commonly known as cinephilia.” (Director’s statement). This masterclass organised by Film and Screen Studies, with support from the School of Media, Film and Communication.